It's easy to become complacent when your vegetable garden first starts producing in early summer. But to get the most out of your vegetable garden, plan on harvesting into the fall or even the winter, where weather permits. 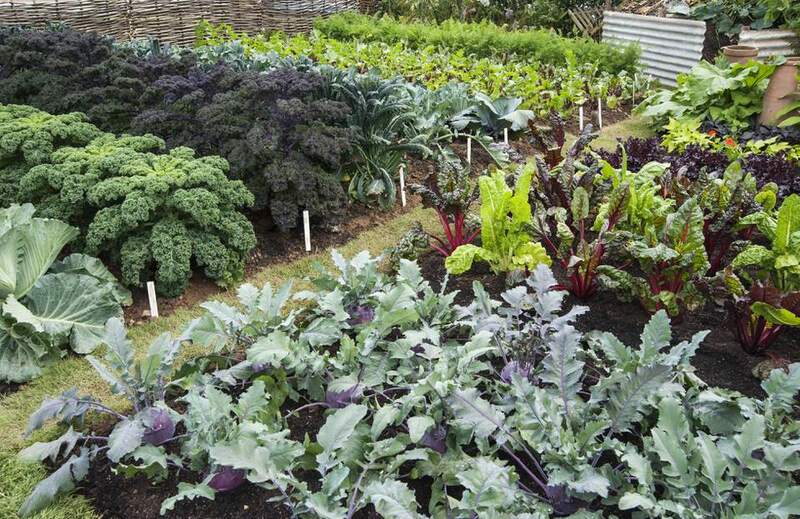 Keeping your vegetable plants healthy is the first key to a long producing vegetable garden. But even the healthiest vegetable plants will finally exhaust themselves setting fruits and will need replacing. Eventually it will be time to put the garden to bed, but keep it going as long as you can. With a little planning, you can easily keep your vegetable garden producing in succession. Here are some simple, but key factors for a long producing vegetable garden and maybe even a whole new fall vegetable garden. Keep Picking Don't give up and leave those over ripened zucchini on the vines. Once a plants fruits have gone to seed, it thinks it is done for the season and begins to decline. Many plants, like squash, beans, peppers and eggplant, will stop producing new vegetables if the existing veggies are left on the plants to fully ripen. Water Regularly Vegetables don't just need water, they need regular, consistent watering. Irregular watering results in problems and diseases like blossom end rot and cracking and can often make the vegetables bitter tasting. Allowing plants to dry out will stress the plant and cause it to stop producing and to drop whatever blossoms it already has. Control Insects & Diseases Stop problems while they are small. Plants can defoliate from fungus diseases and a plant with no leaves is not going to produce fruit. Feed Lightly You've asked a lot from your vegetable plants and they could use a little food by mid-summer, no matter how rich your soil is. But feed them lightly, especially with nitrogen. Too much nitrogen will encourage a lot of leaf growth and inhibit fruit production. Let the Sun Shine In Make sure the vegetables are getting enough sunlight. Sometimes by the middle of summer, there is so much foliage that the sunlight can't get through. Most vegetables ripen faster in sunlight and produce tastier fruits. Vegetables that languish in the shade of leaves are more susceptible to insects and diseases. Weed It's easy to let things slide toward the end of summer, but weeds will compete with your vegetable plants for water and nutrients, just when they need it most. Succession Plant Planting crops at intervals will renew your garden by having new plants ready to take over for spent plants. Beans, radishes and lettuce can be seeded every two weeks, for an almost endless supply. Seedlings of early maturing tomatoes can be planted to replace plants that are on their last legs. Fall Planting The cooler weather and shorter days of fall make it a more ideal planting season than spring, as long as an early frost doesn't spoil everything. Peas, spinach, broccoli, cauliflower and greens can all be planted in July and August for harvest in September and October. In milder areas, harvesting can extend into winter.When seeding in late summer, plant your seeds a little deeper than you would in the spring, to take advantage of cooler soil and moisture. Shading the newly planted seeds and seedlings will help protect them from the summer sun. Mulch, row covers and taller plants, like your mature tomatoes, can be used for this. Extend the season Cool nighttime temperatures send a signal to many plants to stop producing new fruits. If cool temperatures or a frost are inevitable, cover your crops with floating row covers. These light-weight woven fabric allow light and water to come through, but raise the temperature slightly. If your crops need to be fertilized by insects, the row covers should come off during the day. Share the Bounty With any luck and a bit of work, you'll probably have more vegetables than you can use (or drop off on your neighbor's porch when they're not looking). Why not consider contributing the extras to a local food bank or a program sponsored by Plant a Row for the Hungry (PAR). PAR is a grassroots program sponsored by the Garden Writers Association, that encourages gardeners to donate their surplus garden produce to local food banks, soup kitchens and service organizations to help feed America’s hungry. There are over 70 million gardeners in the United States alone. That's a lot of cabbage.